I think this was the first red lipstick I ever purchased! Admittedly, I have had it a while and the packaging has seen better days but it's such a great lipstick. 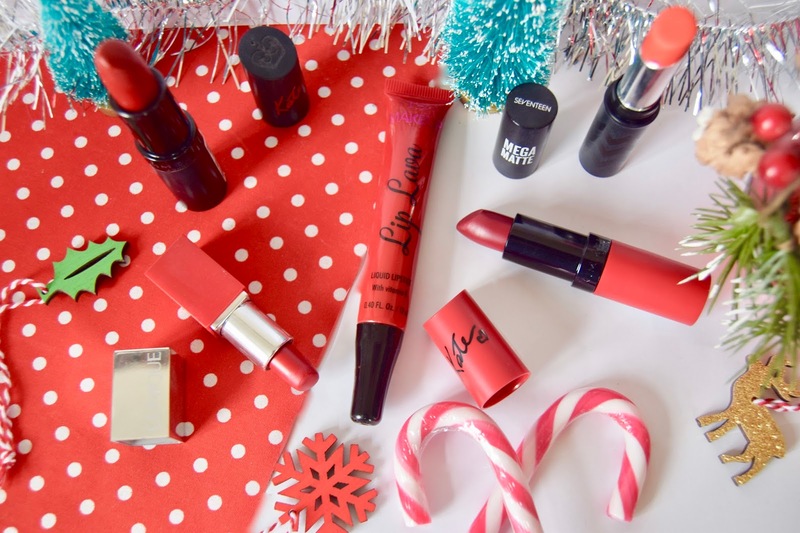 It's a deep, yet bright red which I think is really versatile for all different skin tones. For once, this isn't actually a matte lipstick! *gasp* It leaves a nice reflective shine to your lips and stays on for a good few hours before budging - all at a high street price! I picked this freebie up from Glamour Magazine late last year (didn't everyone?) and instantly fell in love with the shade. It's a beautiful red with slight pink undertones and leaves a great shine on your lips. I'm a pretty pale person, however I feel like this is great for giving my skin a bit more warmth! Considering this is the most expensive out of all of these lipsticks, I'd truthfully say it's the one that comes off the quickest! Although saying that, it does initially give you amazing coverage on the lips, all whilst keeping them moisturised. I like that the lipstick glides on really nicely and also doesn't accentuate chapped lips (which is something I get a lot!). Overall, it's a great colour, but if stay power is what you look for then this probably isn't for you. Firstly, I couldn't help at lol at how punny these shade names are. Who doesn't love a good pun?! This is certainly a more coral-toned red, which I go through phases of being able to pull off. More often than not, I can so yay for that! I actually really lack coral/orange coloured lipsticks, so this shade is quite refreshing to have in my collection. The Mega Mattes are slightly trickier to apply, with them being so matte but look great once their on. I think because they are harder to apply, it forces you to put it more carefully, ultimately preventing any bleeding. I won't go on about them too much as wrote about them a bit more in-depth in my 'Seventeen Makeup For Autumn' post here. 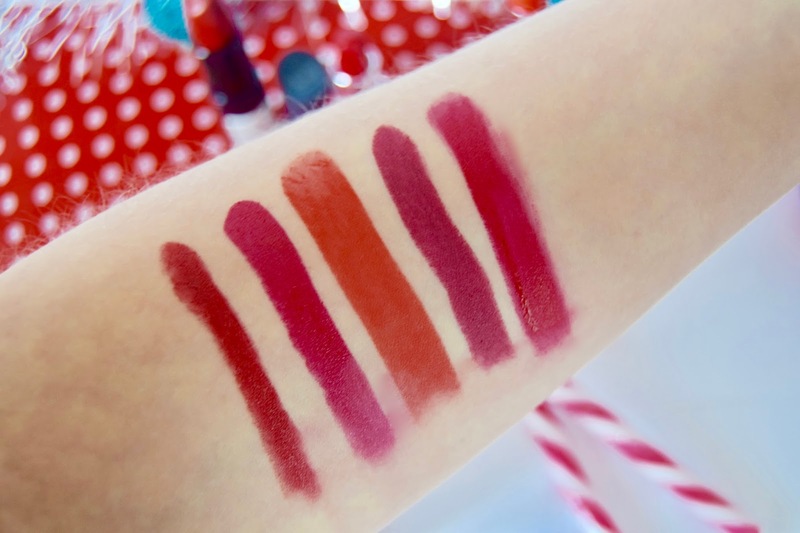 Swatches L/R: Kate Moss 01 | Cherry Pop | Lava You A Lot | Kate Moss 107 | Firestorm. ..aka. My favourite high street lipstick of all time! This is a beautiful berry-toned red, which dries matte and literally lasts for.ever. Ok no, I am kidding when I say forever but I get a good 4 hours wear out of this before it shows signs of needing a top up! I love that it gives a slight stain to your lips too, so even when it is due a top up, you still have a bit of colour left on! I definitely reach for this most and always re-purchase! I'm also really loving the Only 1 Matte Lipstick Collection by Rimmel, as they still have great shades but that less drying. This is a very recent addition to my lipstick family. I love a good liquid lipstick, and the packaging really drew me in on this one. I love that it's in a bright red squeezy tube and has a spongey applicator, so you can really distribute the product evenly over your lips without it bleeding. The product itself also includes Vitamin E, so bye bye dry lips! I can't even tell you how shocked I was when this literally did not budge off my lips. I get a good 5-6 hours wear out of this, which is so impressive for £2.99! This is definitely the glossiest lipstick I own which isn't a lip gloss, and colour intensity is incredible. 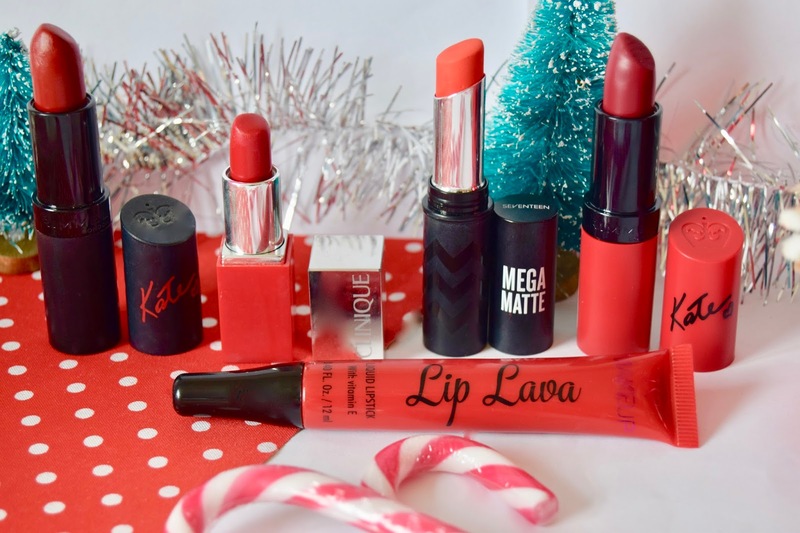 I think the Lip Lava's might be pretty decent dupes for the Too Faced Melted Lipsticks. This has definitely sky-rocketed up in my recommendations! It might even make the cut for Christmas Day! Those clinique lipsticks look so good.